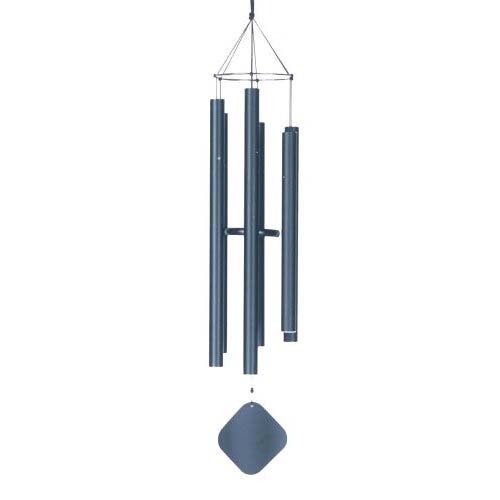 The Alto windchime is a pleasant combination of the delicacy of the smaller chimes with the sustain of the larger sizes. The Alto wind chime is made of the best durable products available; from the supported stainless steel ring to the clapper each part is meticulously specified and all parts are resistant to abrasion, ultra-violet light (sun), mold and mildew resistant. The tubes are accurately tuned using technology and they will not rust. This is a professional wind chime that you will enjoy. Each Windchime is available in your choice of tuning; please make selection below. Shipping Weight: 10.00 pounds, Overall Length: 50", Longest Tube: 28", Tube O.D. : 1 1/2"